Flickr photo by jcmurty used under the Creative Commons license. When you pop in and out of your homeland once or twice a year, as I do, it’s pretty easy to pick up on trends since you last touched down. 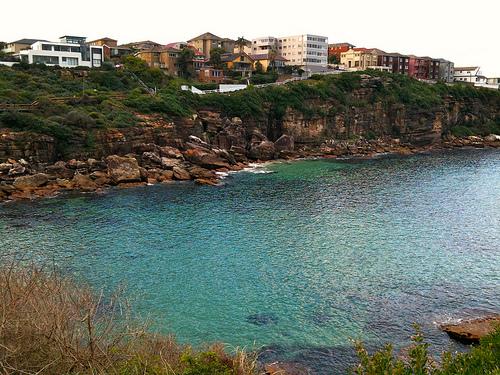 I was in Sydney for a month this past Southern Hemisphere summer, that’s December-January for those of you who have a hard time getting your head around a Christmas spent enjoying surf, sun, and fresh seafood. In the past few days over endless cups of tea or glasses of champagne a few food themes have emerged among my Sydney circle since I was here nine months ago. The country is wagyu beef crazy. That’s well bred marbled meat to the uninitiated. Even people who don’t normally talk food throw this term around when speaking steak. Reading glasses in snazzy frames are a necessary accessory for diners of a certain age, though a recently-returned food critic blames it on a trend towards dimly lit tables at some of Sydney’s top restaurants. 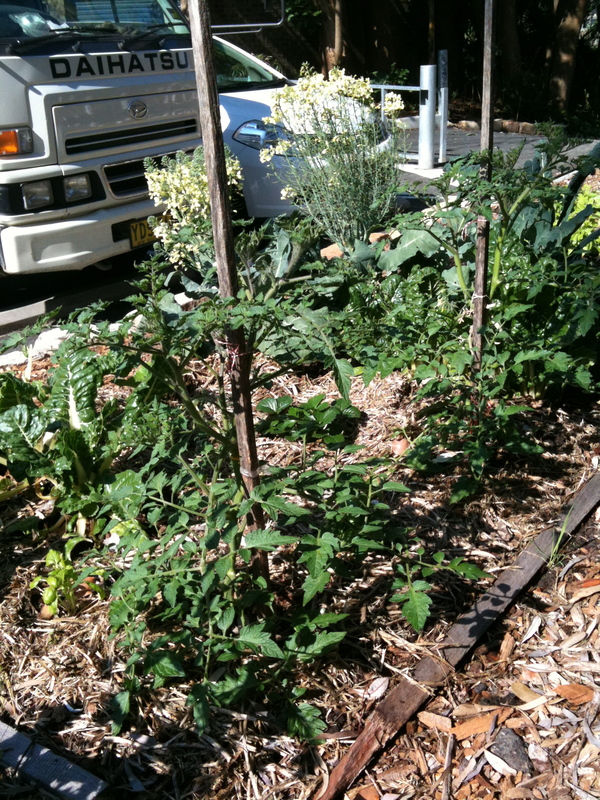 Veggie patches are sprouting along median strips, including the beach suburbs Clovelly and Coogee. And the TV sensation MasterChef Australia has taken this island nation by storm, inspiring home cooks to spring for kitchen equipment like pasta makers, hunt down obscure ingredients, or get more adventurous behind the stove. Food fads come and go, but some dishes remain classics. Like sticky date pudding. My sister-in-law Alice whipped up this simply delicious dessert for a recent family gathering. I’m from a large clan: 5 siblings, 14 nieces & nephews (and another on the way). Many of these young adults tower over me now; all have hearty appetites. 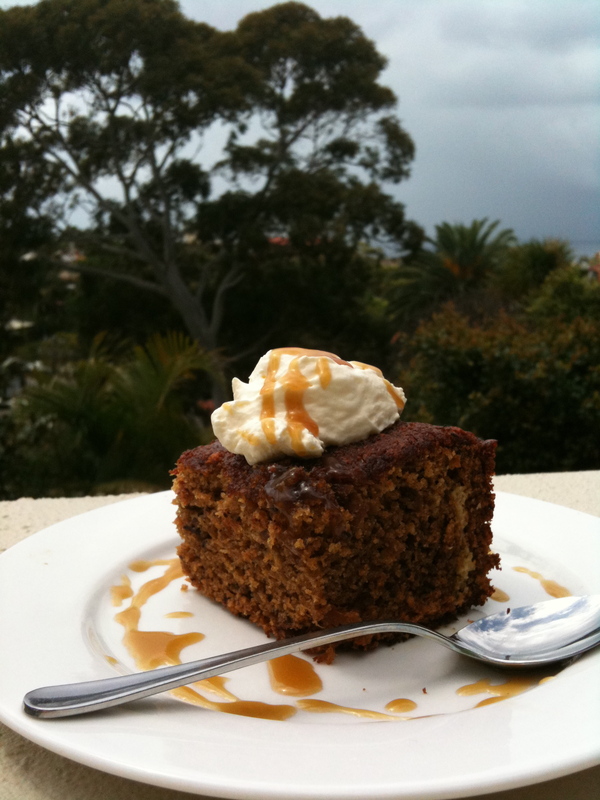 So we shared warm sticky date pud accompanied by lashings of whipped cream, a scoop of ice cream, and generous drizzles of caramel sauce on a chilly spring evening and all was well in our corner of the world. 1. Preheat oven to 190 degrees C (375 degrees F). 2. Grease and flour a baking tin (8-inch square, 2 inch deep) or cake pan. 3. Place dates and water in a medium saucepan and cook on high heat, bring to a boil, until mix resembles jam. 4. Sir in the bicarbonate of soda. Mixture will foam. Set aside for 10 minutes to cool slightly. 5. Beat butter, sugar, and vanilla until pale and creamy. 7. Fold through dates and flour until all ingredients are well combined. 8. Spoon mixture into prepared cake pan. Bake for 25-30 minutes or until a skewer inserted into the center comes out clean. 1. Place all ingredients in a saucepan over medium heat. 2. Cook, stirring frequently, until sauce comes to a boil. 3. Reduce heat and simmer for another couple of minutes. 4. Cut cake cut into squares or wedges. Drizzle with sauce, and serve with ice cream and/or whipped cream. Also delish with strawberries macerated in balsamic vinegar. 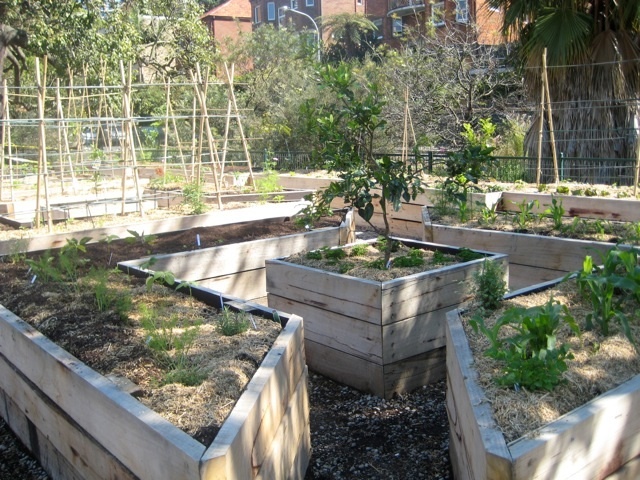 Update: My friend on the ground, Jacqui, see comment below, shares a photo of a community garden plot she spotted sprouting in Kirribilli, on Sydney’s north side. Anyone want to chime in with the story behind this movement to grow greens in urban Oz? Hey Sare, great blog and the photo looks great! Yum-have you tried Bakesale Betty’s version in our neck of the woods? Yes Bakesale Betty is fabo. Have you tried her lamingtons? Yum. Oops! I owe you a photo credit, my dear. Will fix that oversight pronto! Love lamingtons! My Aussie baker friend makes them on a regular basis. So delish! Sarah, I discovered another Sydney community veggie patch while walking the dog in Milson Park, by the harbor in Kirribilli. It’s substantial too. Lovely raised beds about 2 feet off the ground in a parterre garden design. I haven’t seen anyone in the vicinity yet to get the scoop. Still very new. Will send a photo. Nice spotting my friend. Thanks for sharing. I can’t figure out how to include your veggie patch snap in the comment section, so you and other readers will find one in an update at the end of the original post above. Hello Gorgeous, Always lovely to see a little note from you. Do have a go at this dessert, you won’t be disappointed. And I’ll check the Herald for the story you site.